If you thought the “green movement” was more about self-righteous politics than clear-headed science, here are two tales that prove the point. In Arizona a petition is being circulated in an effort to get on the ballot an initiative called the Clean Energy for a Healthy Arizona Amendment. This would require 50 percent of the electricity generated in the state to come from renewable sources by 2030. To get on the November ballot petitioners must gather nearly 226,000 signatures by July 5. 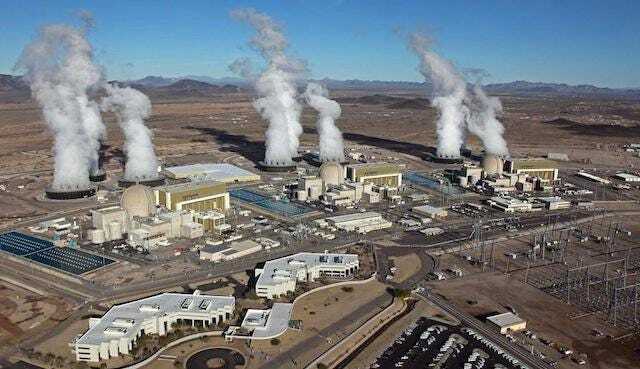 If the measure passes it would necessitate the closure of the Palo Verde Nuclear Generating Station west of Phoenix, which currently provides about 35 percent of the state’s electricity, even though it produces no carbon emissions. If the state were to achieve the goal of 50 percent of its power coming from mostly solar and wind, both of which are intermittent, there would be no room on the grid for Palo Verde’s power, because reactors can’t be quickly turned off and on — it takes weeks of preparation. The most likely source of rapid start-up generation would be natural gas, which produces carbon emissions, especially when frequently idling. Adding wind and solar to the power grid could increase the carbon dioxide output. Retired electrical engineer Kent Hawkins wrote in February 2010 that “the introduction of wind power into an electricity system increases the fossil fuel consumption and CO2 emissions beyond levels that would have occurred using efficient gas plants alone as the providers of electricity equivalent” to the wind generated power. This is because every kilowatt-hour of intermittent electricity introduced into the grid must be backed up by a reliable fossil-fuel generator. When the wind doesn’t blow and the sun doesn’t shine, the demand for electricity remains. Starting and stopping natural gas-fired generators is inefficient, comparable to operating a car in stop and go traffic instead of steady and efficient on the open highway. Just like the car, the fuel consumption can double, along with the carbon emissions, negating any presumed carbon savings by using solar or wind. Opponents of the measure say it will drive up power bills in the state. Proponents argue long-term benefits of solar power and reducing nuclear waste offset any immediate cost spike. Meanwhile, in New York Gov. Andrew Cuomo has announced plans to build $6 billion worth of offshore wind turbines while shutting down the nuclear-powered, emission-free Indian Point Energy Center in Buchanan, N.Y.
Robert Bryce, a senior fellow at the Manhattan Institute, explained in an op-ed in The Wall Street Journal that the wind turbines will produce only 60 percent as much power as the nuclear plant being closed. How will this gap be covered? You guessed it, natural gas. This past week NV Energy announced plans to contract to build six new solar power projects at a cost of $2 billion and double the state’s renewable energy capacity, but only if voters reject the Energy Choice Initiative on the November ballot that would end the company’s monopoly in most of the state and allow competition. No mention was made of how this might impact power bills. In all three states emissions would likely increase, as well as power bills. Being green is a state of mind. Just never let the facts get in the way. This entry was posted in columnist, Elko Daily Free Press, Ely Times, Eureka Sentinel, Lincoln County Record, Mesquite Local News, Nevada, News, Newspapers and journalism, Sparks Tribune, Thomas Mitchell and tagged Andrew Cuomo, green energy, Indian Point, Kent Hawkins, NV Enery, Palo Verde, Robert Bryce, solar panels, Wind turbines. Add to this the fact “renewable” is not really “renewable” there are real EOL issues with the necessary equipment required to generate electricity from wind and solar. On top of that, batteries remain the weakest of all tenuous links in the scheme. On the other hand, real engineering/technical solutions exist for removing and recycling carbon from the atmosphere. Recycling carbon is totally renewable and the process allows us to fully go C-NEGATIVE in just a few years. IF ONLY THE POLITICIANS, VOCAL CLIMATE SCIENTISTS, AND DEDICATED LIBERAL “GREEN ENERGY” LOVERS WOULD GET OUT OF THE WAY AND LET THE PEOPLE WITH THE SKILLS AND KNOWLEDGE DO WHAT THEY KNOW HOW TO DO!!! Climate scientists identified a problem, now get the FCK out of the way and let the engineers solve it! OR is it you (libby) peeps just can’t give up your reason for constant complaining? Not to worry. 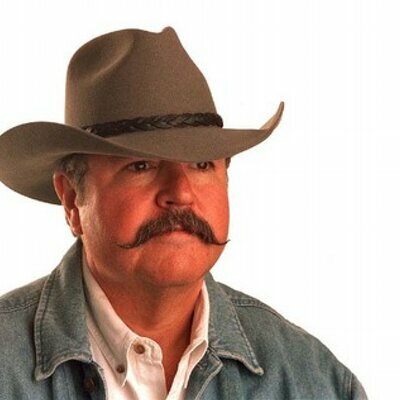 “The big bad ole gov’ment has decided to pick winners and losers in the economy again. I’m sure we can expect another long column here castigating these actions right Thomas? Thomas? Yep. Gubment picking winners and losers. Aside from the death sentence for commiting operator error while on autopilot in a Tesla, this story illustrates just how the best battery tech in the world is still very much a weak link for electricity storage. And, par for the course, Tesla blames the (deceased) operator for the crash. It’s too bad they can’t move the nuclear plant to Downtown Las Vegas. Perhaps they could maybe move it next to Mitchell’s house. He loves nukes and is usually supportive of anything that can make huge utility companies an extra penny at the expense of real working people. Making it personal means ya got nothin.